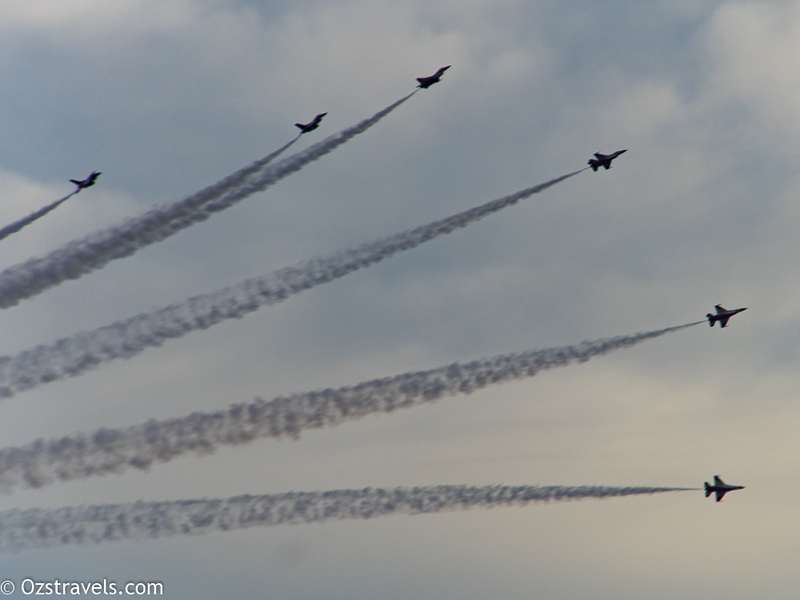 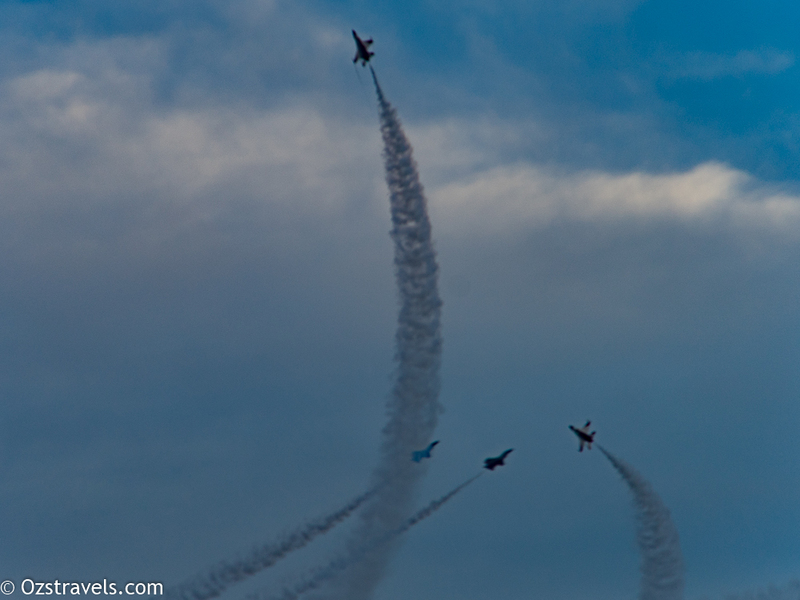 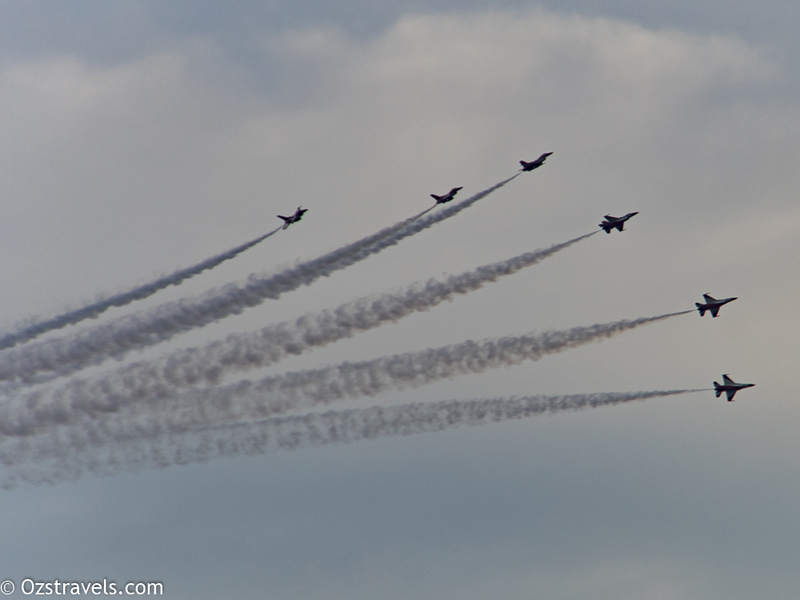 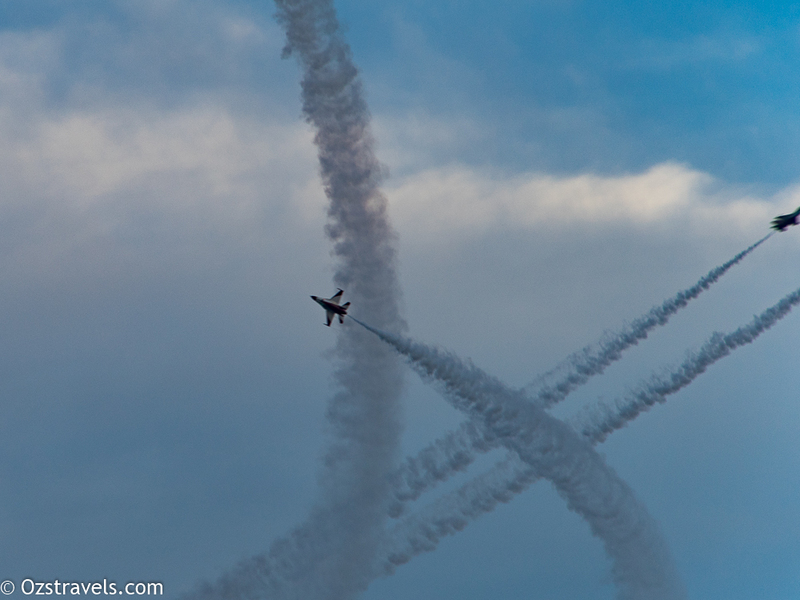 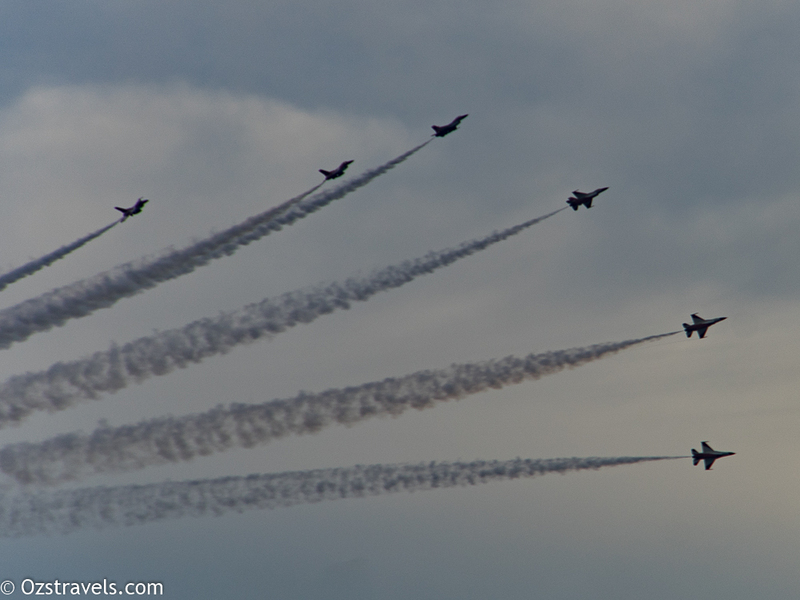 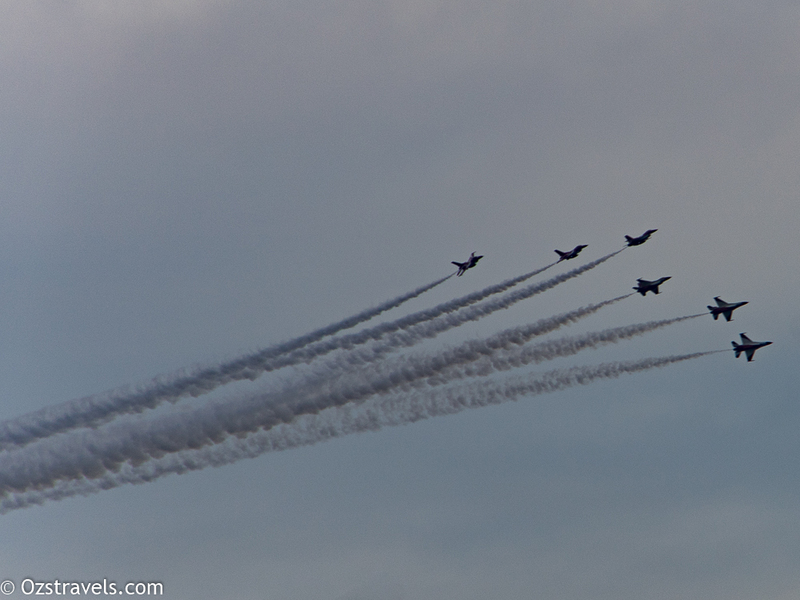 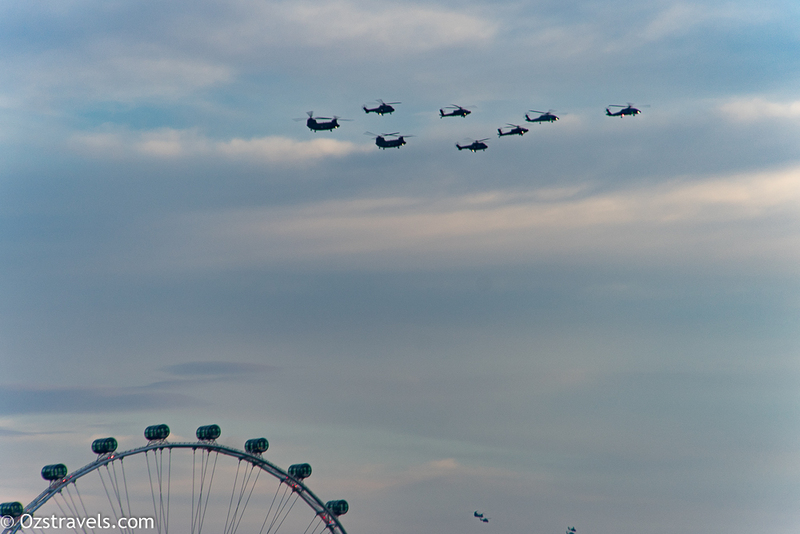 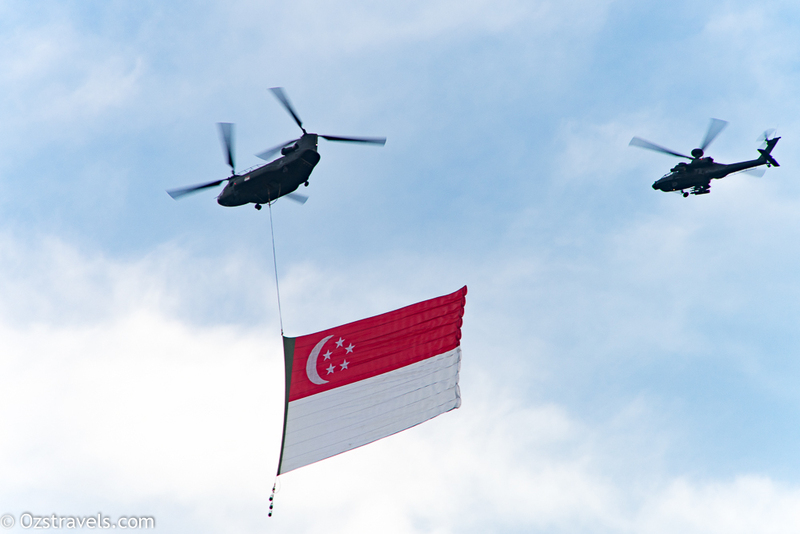 In addition to the SG50 Parade, there is also an Aerial Flypast put on by the Republic of Singapore Air Force. 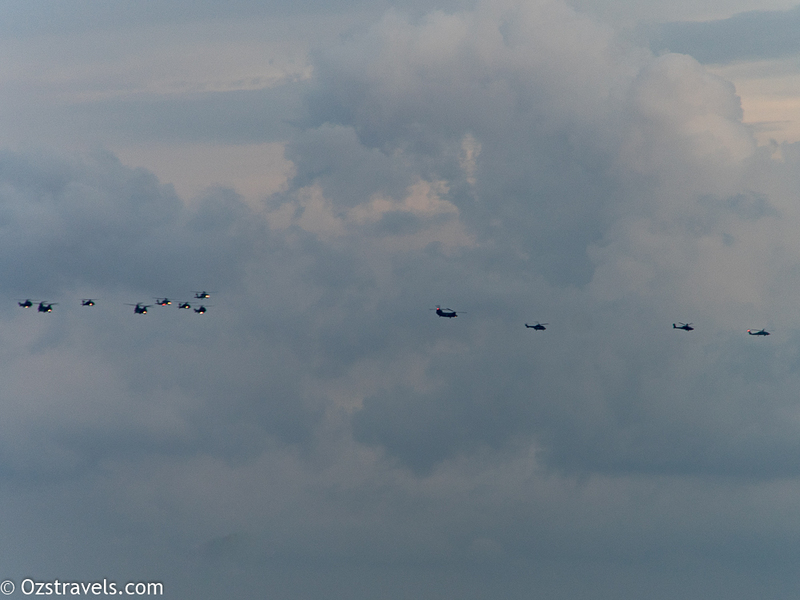 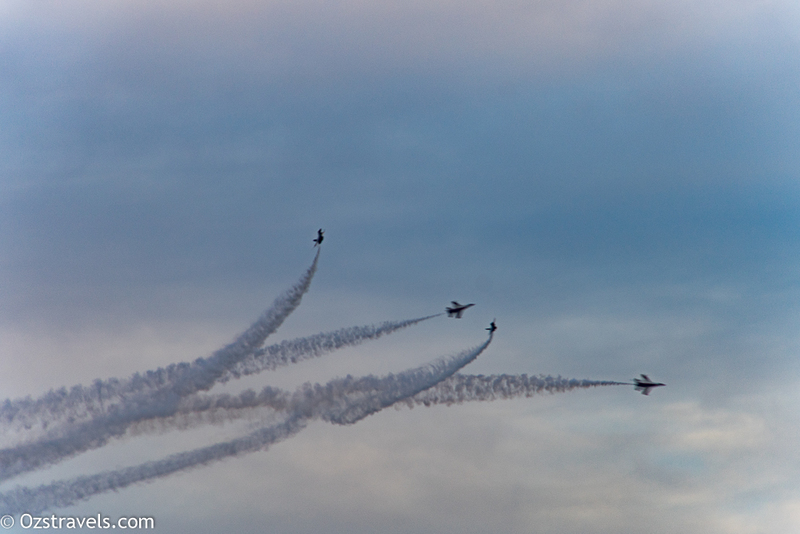 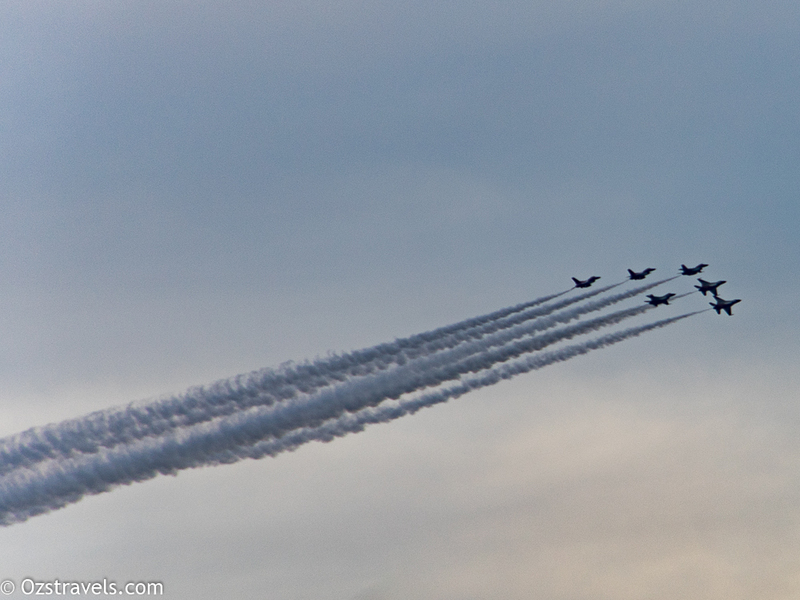 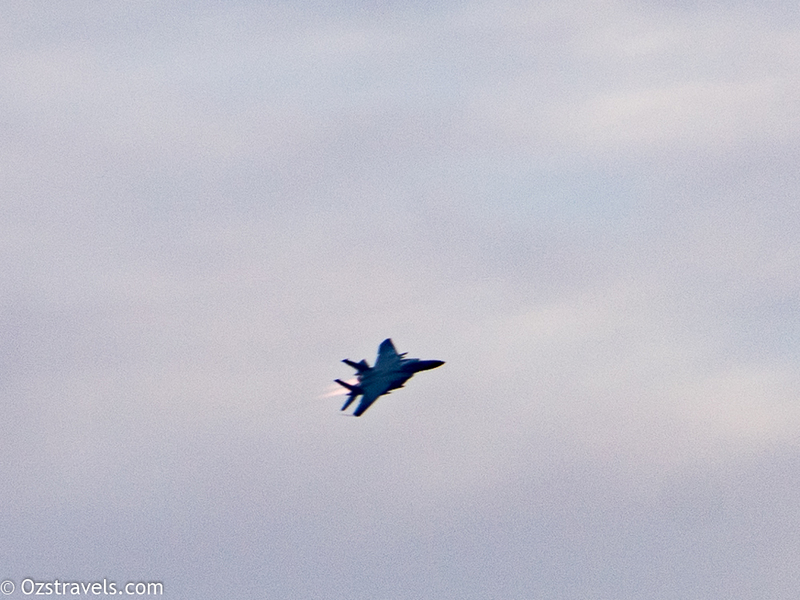 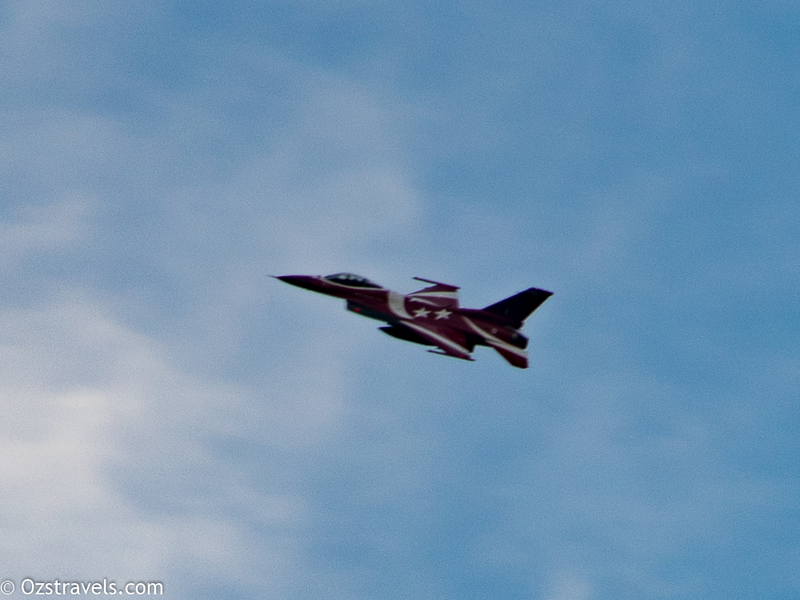 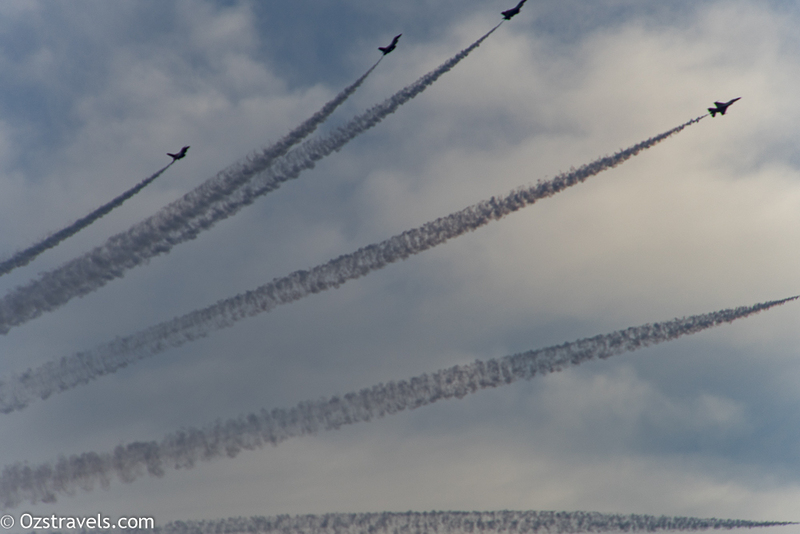 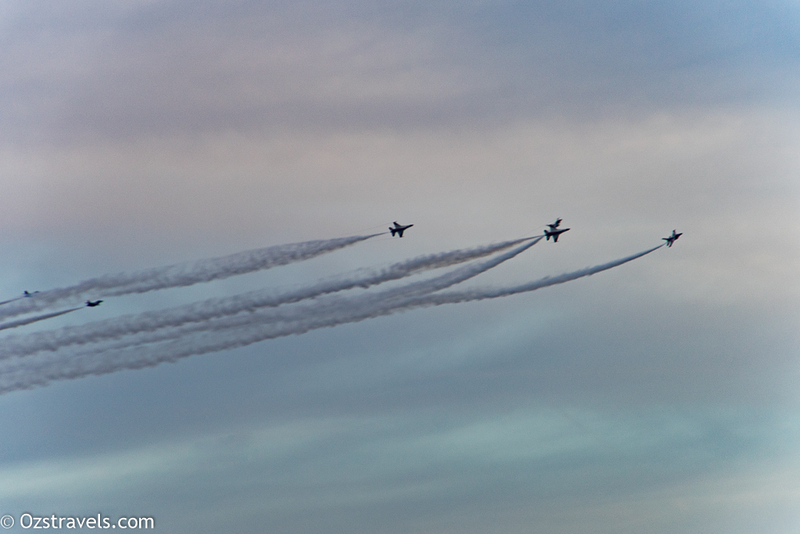 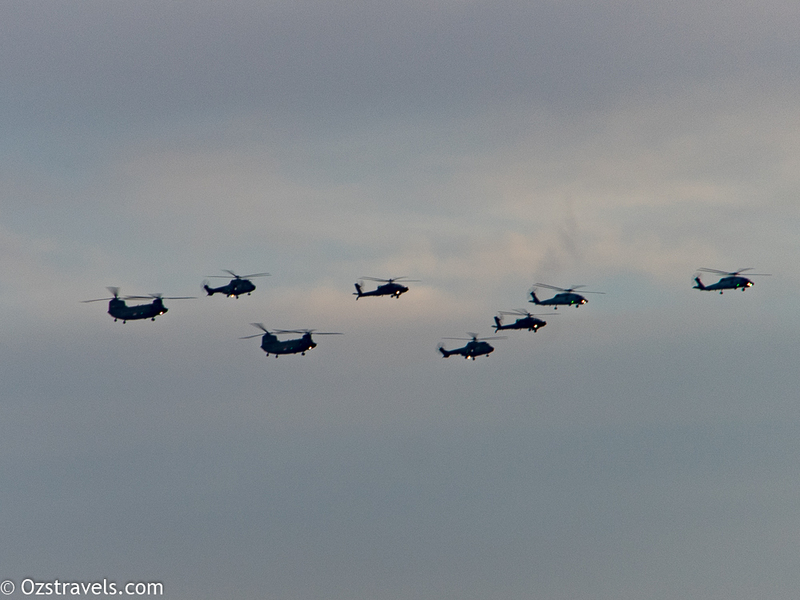 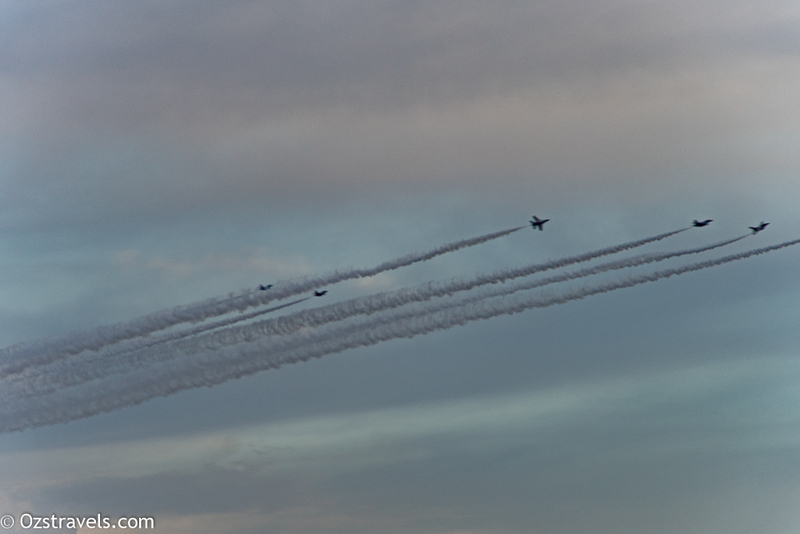 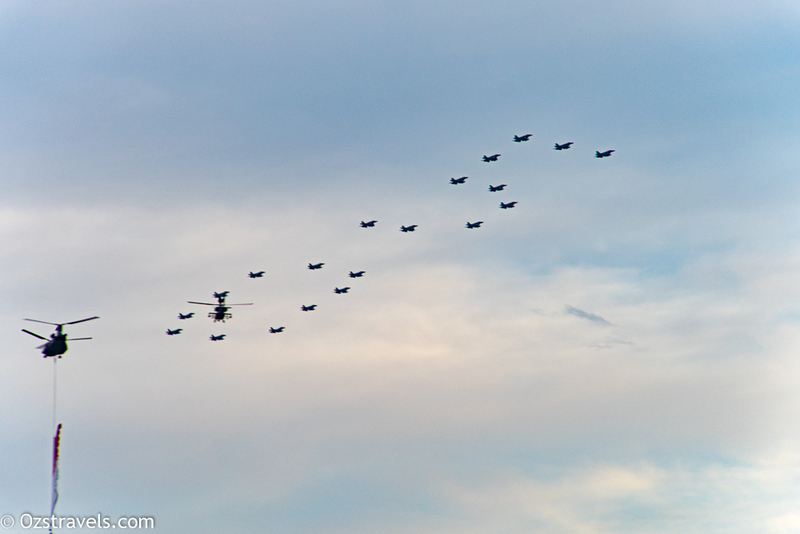 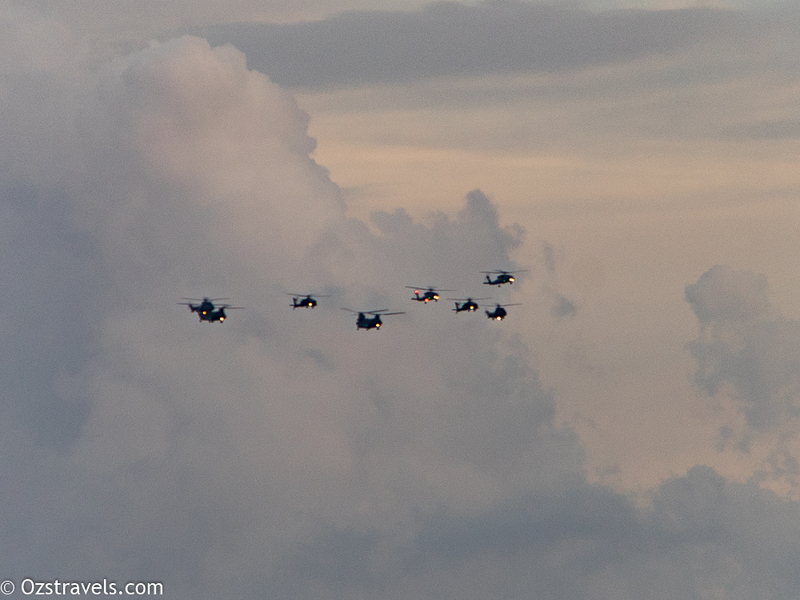 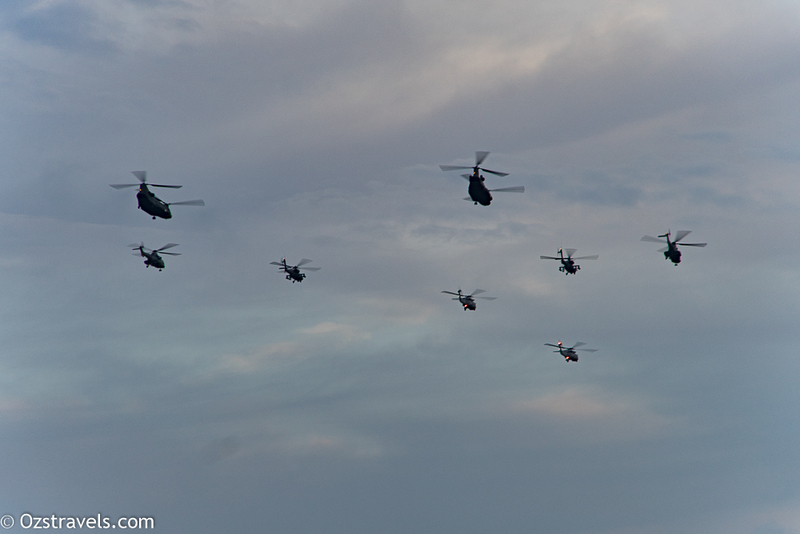 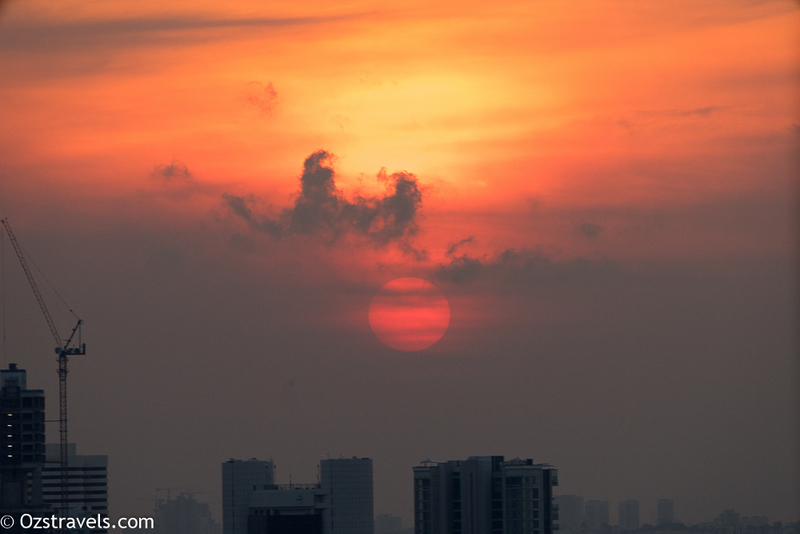 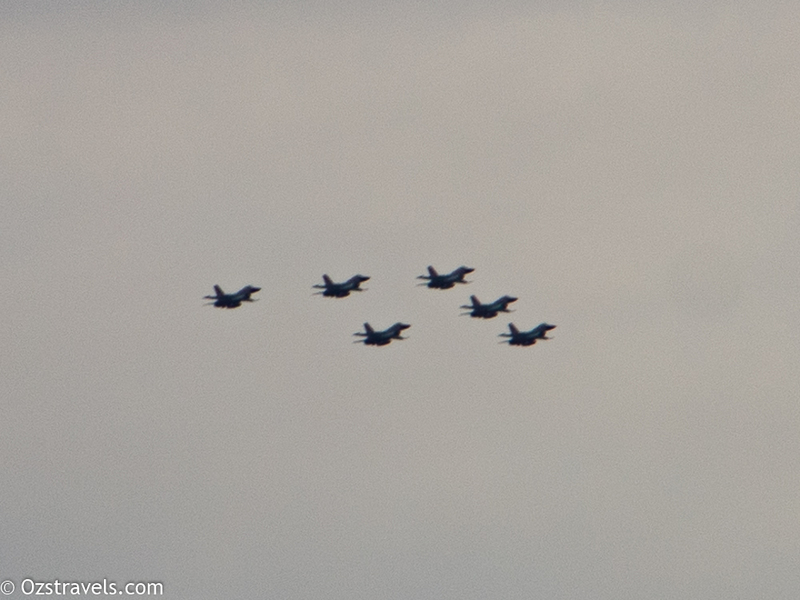 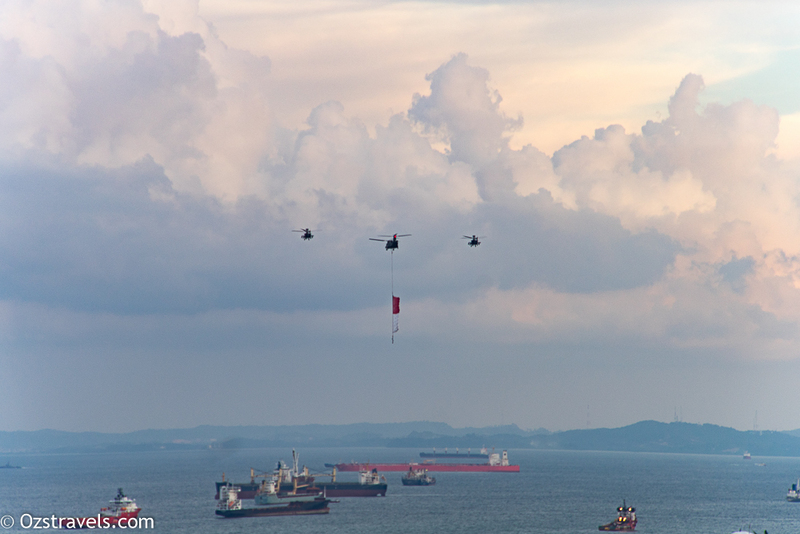 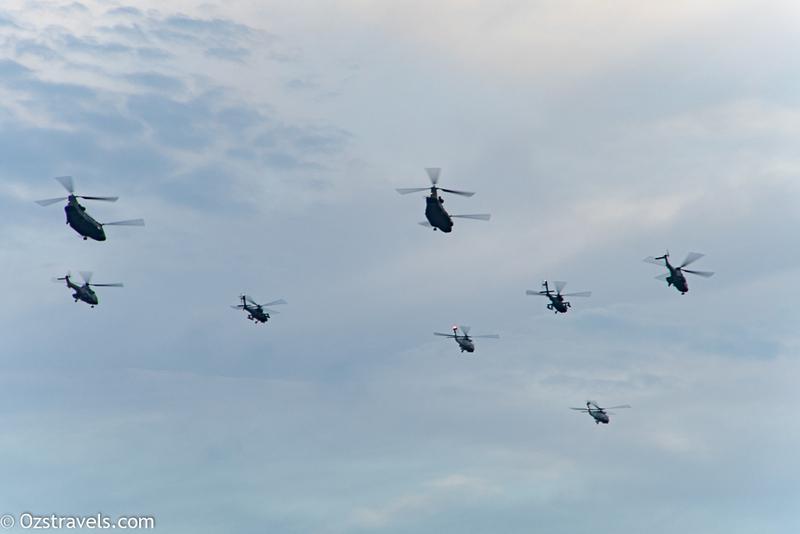 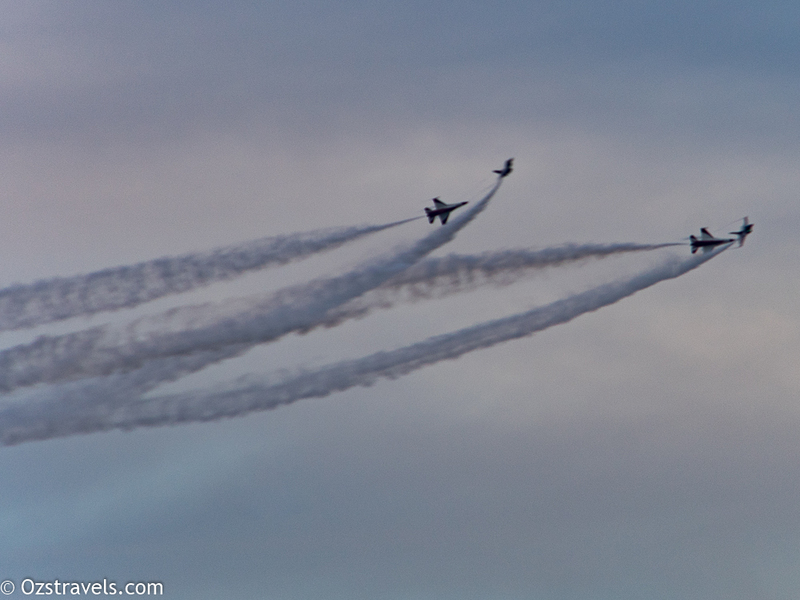 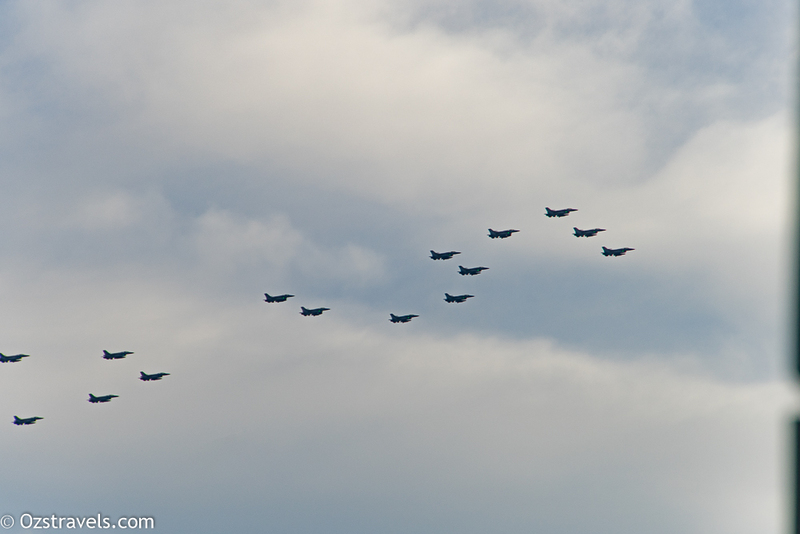 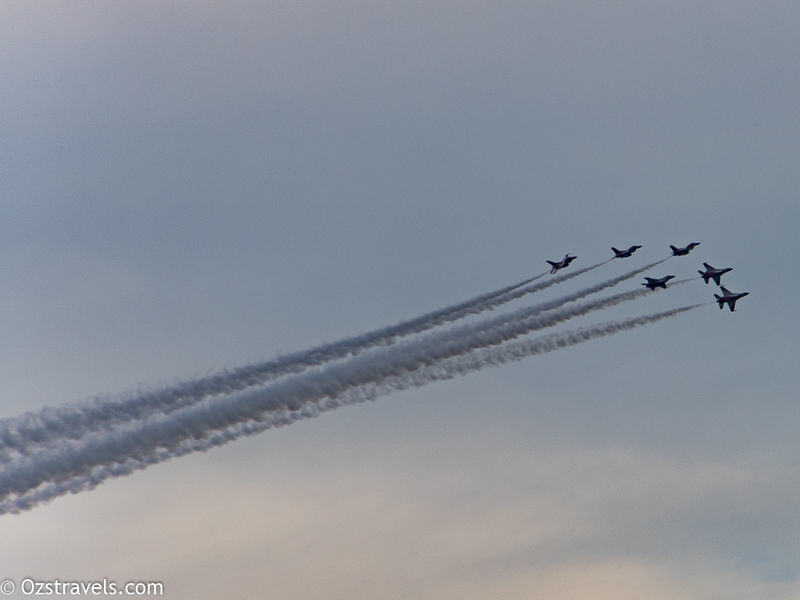 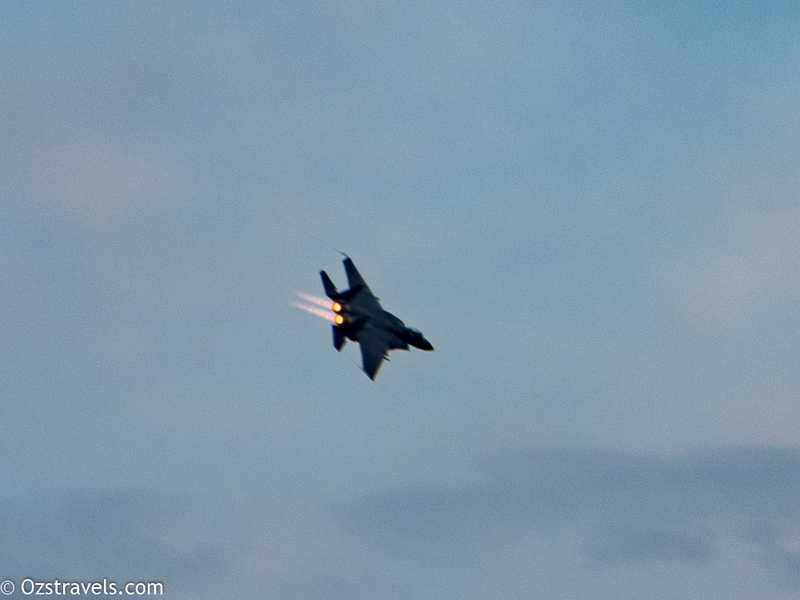 This post is a collection of the photos I took from the roof of my apartment block of the SG50 National Day Practice – Flypasts. 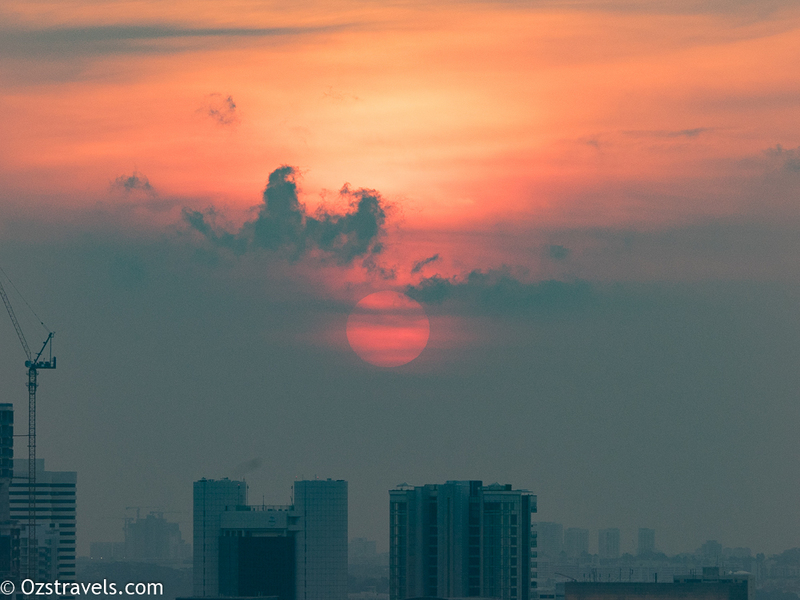 The view of the Padang from the roof-top of my apartment block. 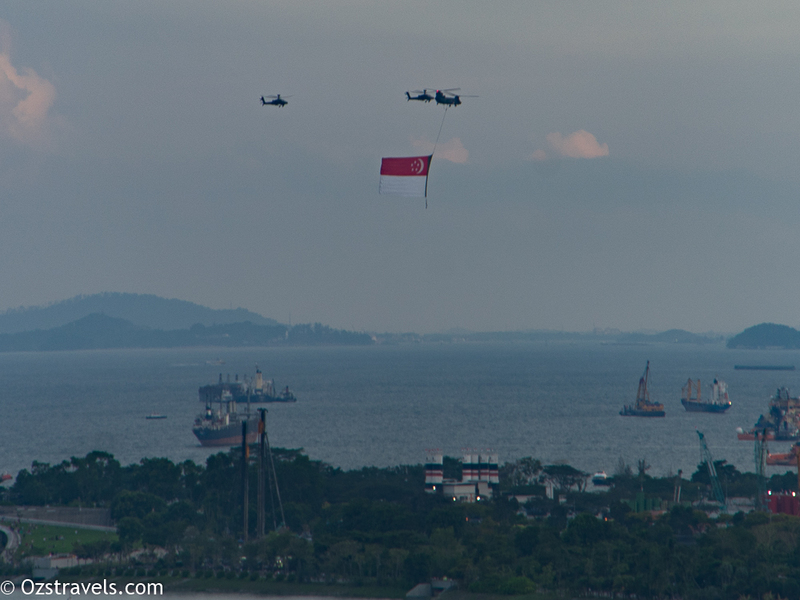 The Padang is where the formal SG50 festivities were held. 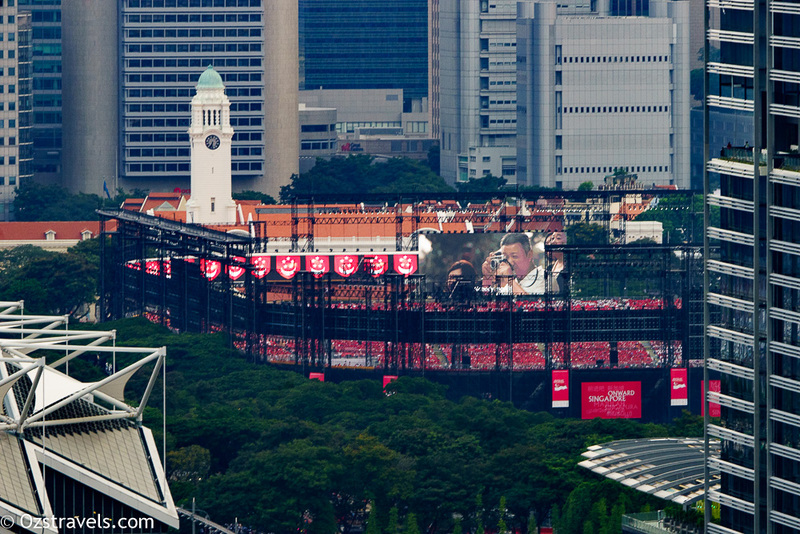 This is a temporary setup, the Padang is usually cricket and soccer pitches.